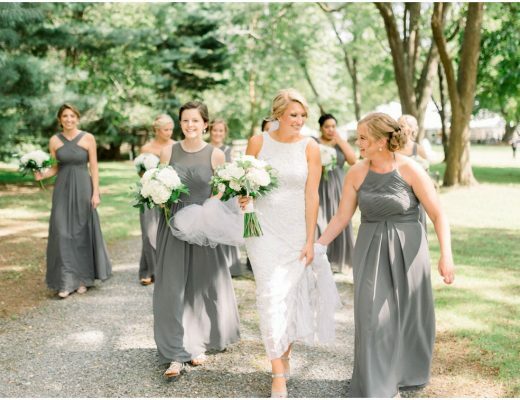 They say it takes a village, and that’s certainly true for this sweet celebration! 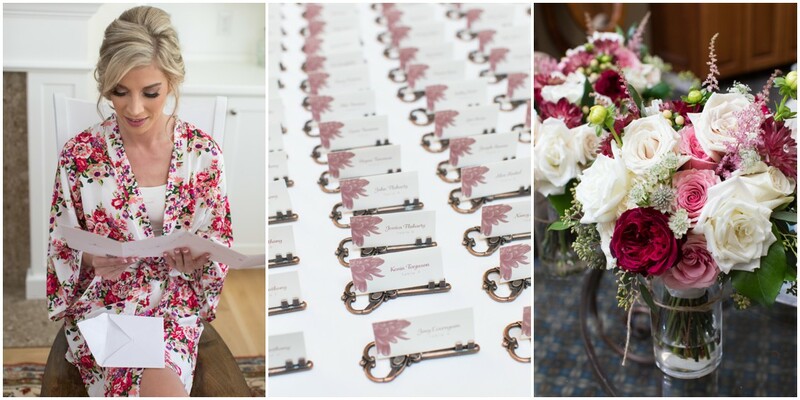 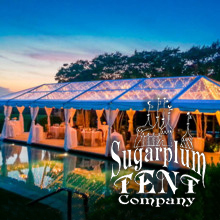 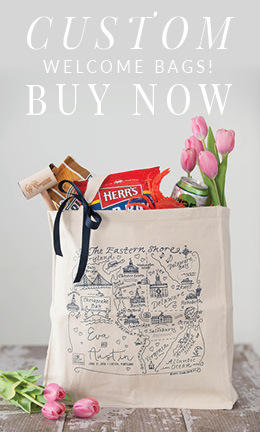 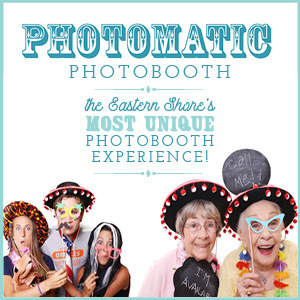 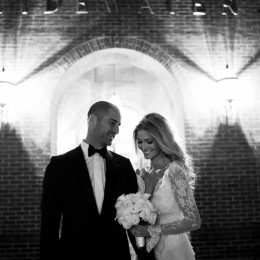 Kara & Mike’s family pitched in to make their day perfectly personalized. 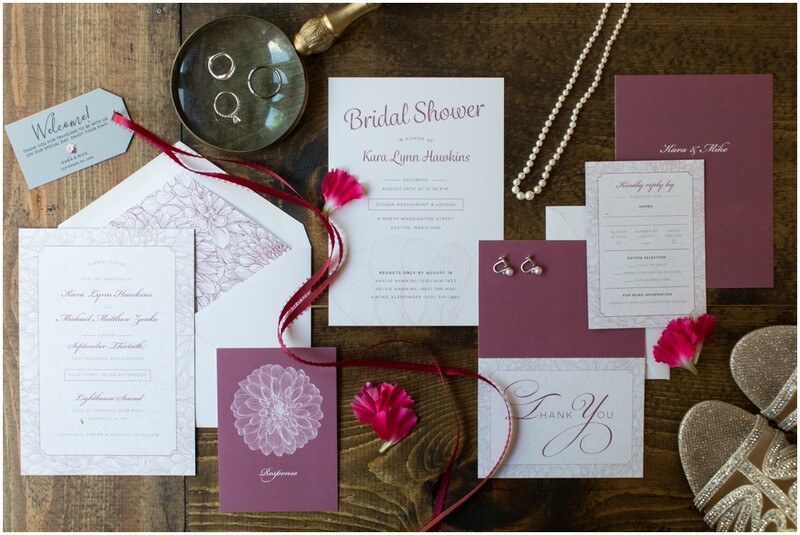 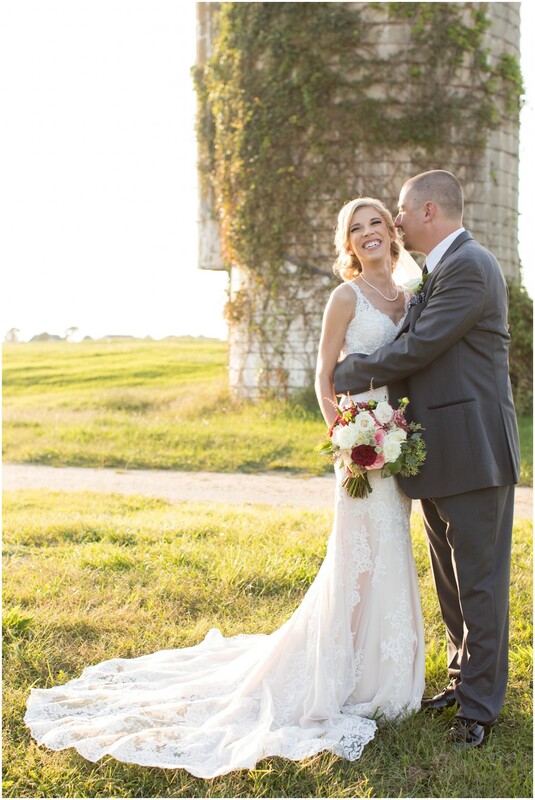 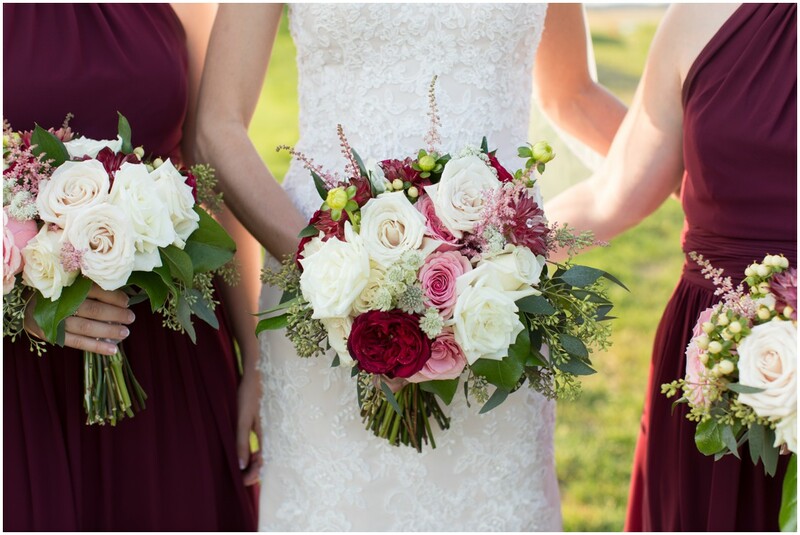 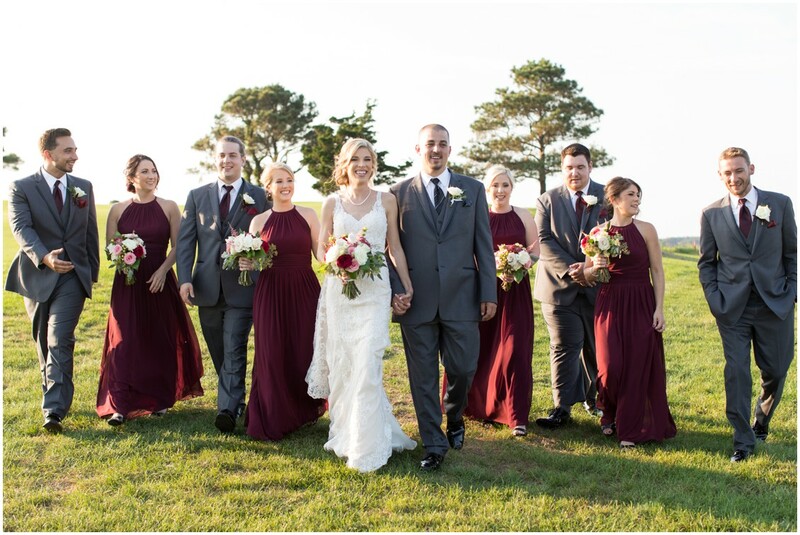 Ruby hues and rustic details pair preciously with this couple’s captivating smiles. 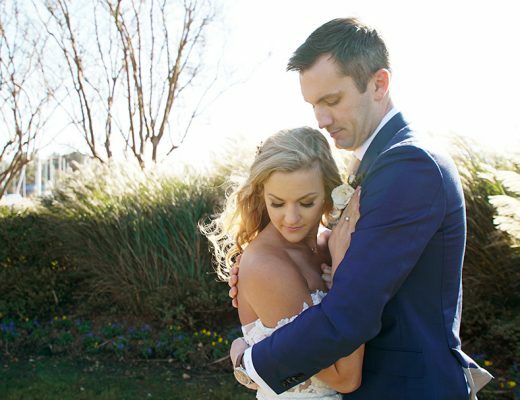 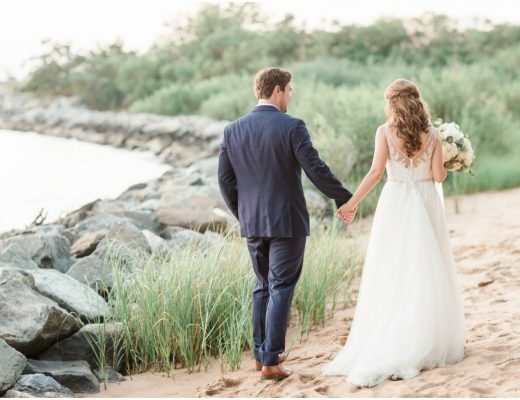 So much love and just-right light emanating from this gorgeous gallery by Laura’s Focus Photography! 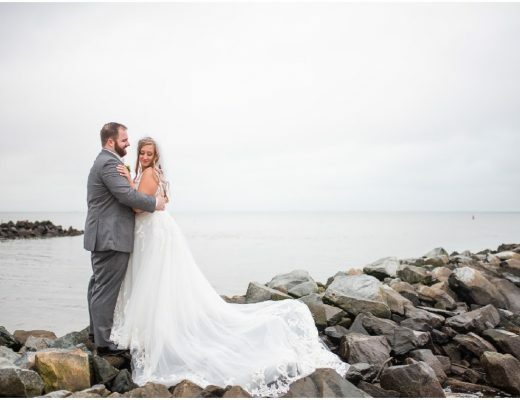 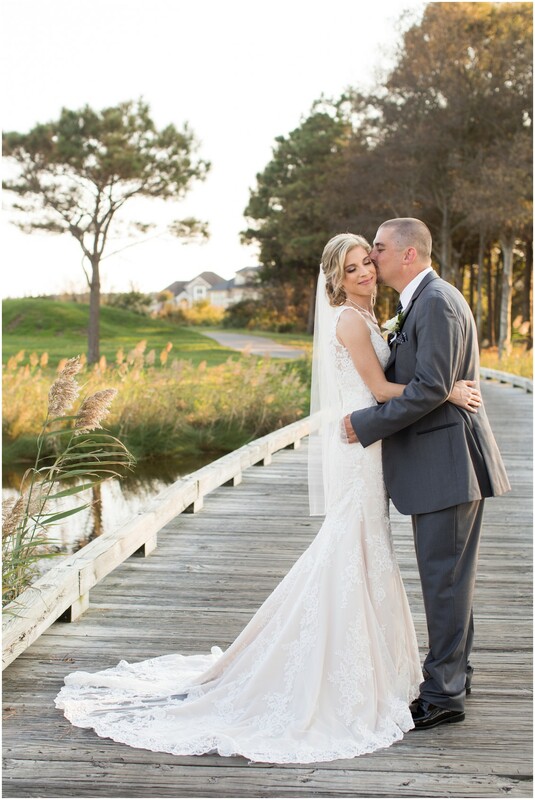 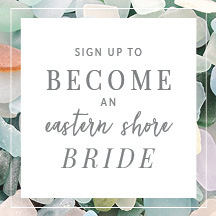 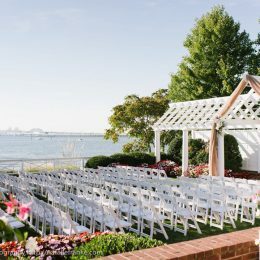 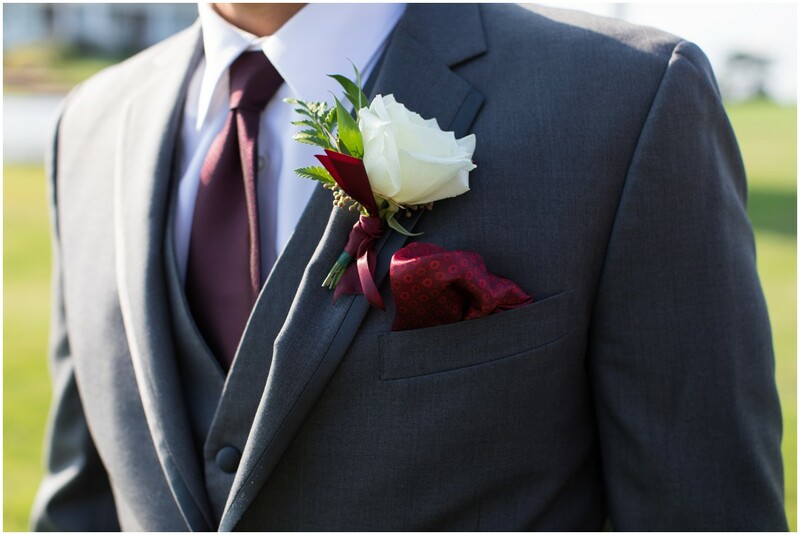 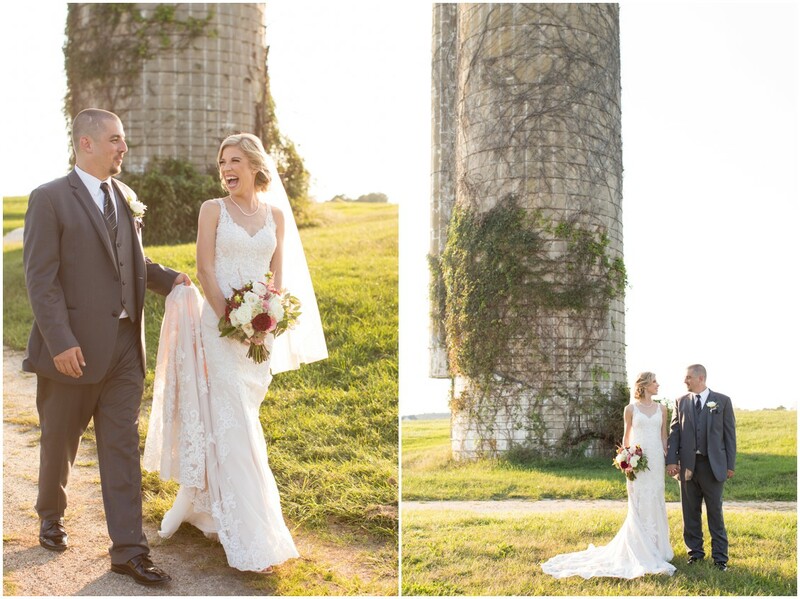 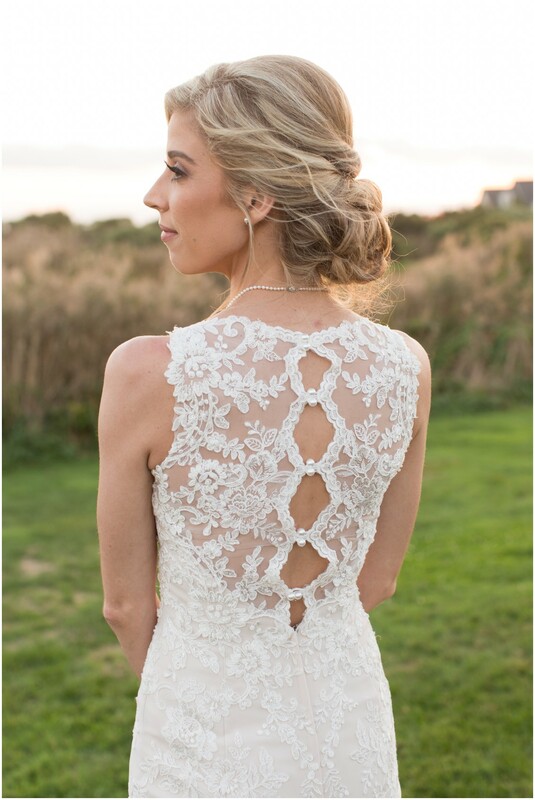 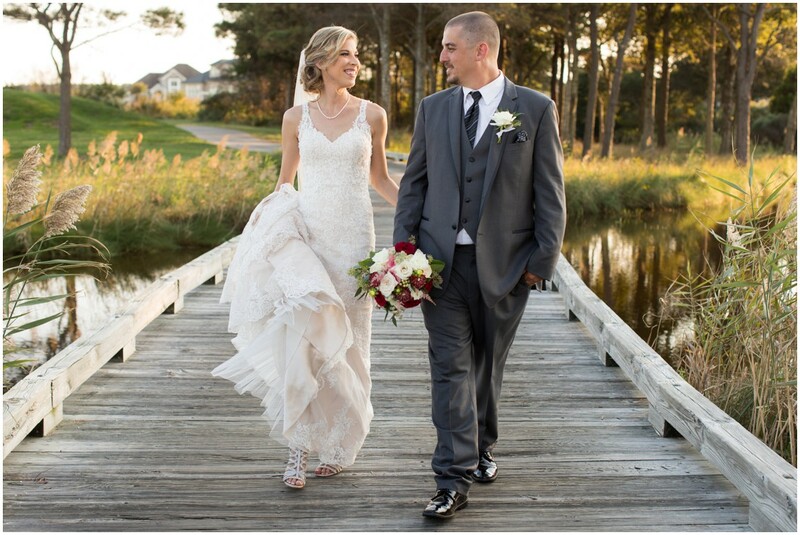 From Laura’s Focus Photography: Kara & Mike’s Lighthouse Sound fall wedding just outside of Ocean City, Maryland had the most romantic sunset and pretty burgundy and blush details! 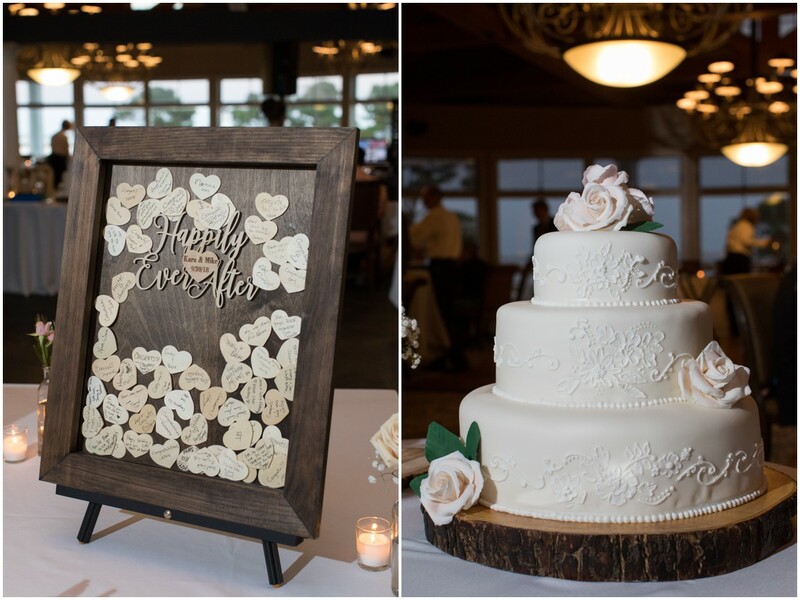 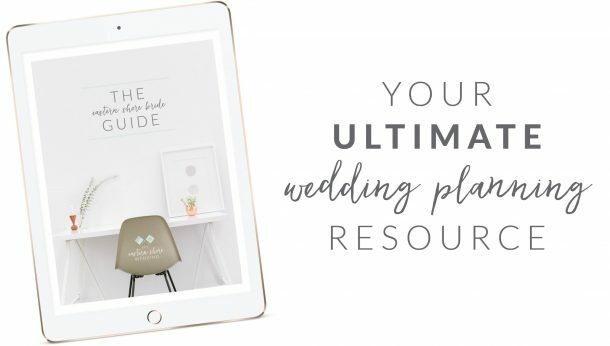 Kara has some talented family members that lent a hand in the big day with her cousin making a gorgeous three tiered wedding cake and her stepfather designing a beautiful set of custom stationery. 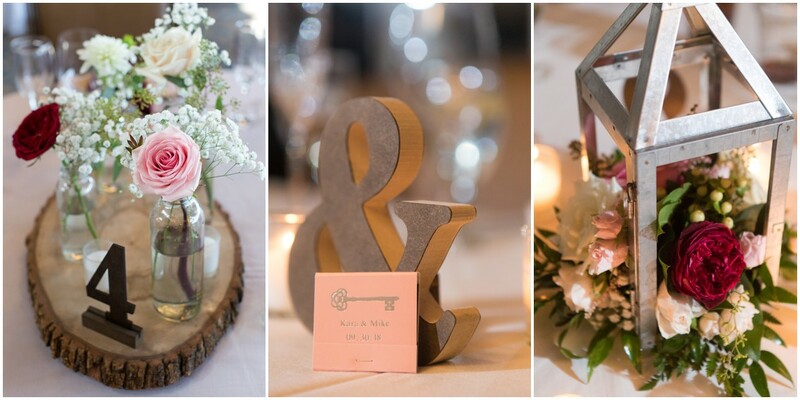 Some other cute details included a fishing cake topper, a pink signature drink, key place card holders and blush pink matchbooks. 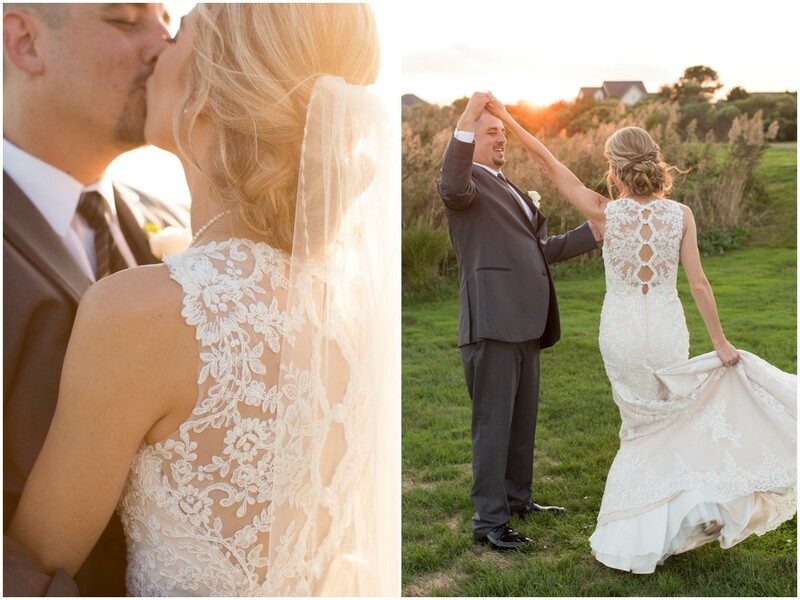 After some first dances and toasts, we raced outside on golf carts to catch the last bit of sunset lighting and it resulted in some of my favorite images! 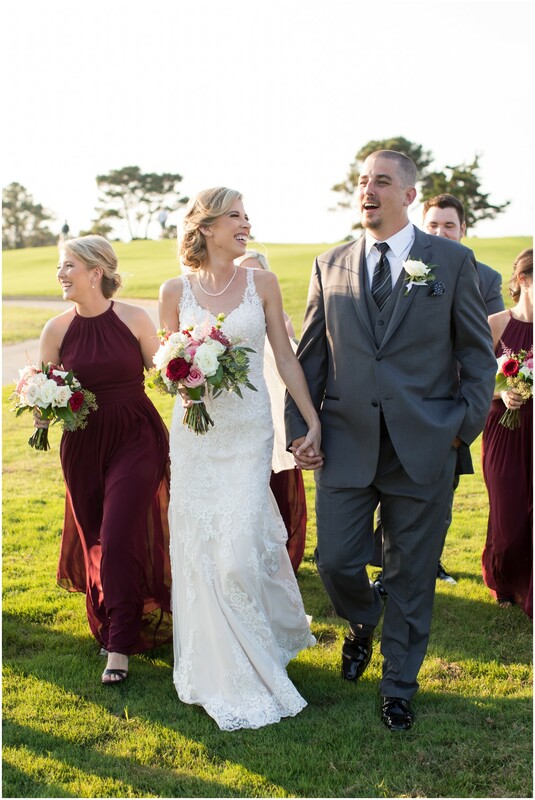 The reception included a very funny shoe game that brought laughter to all the guests. 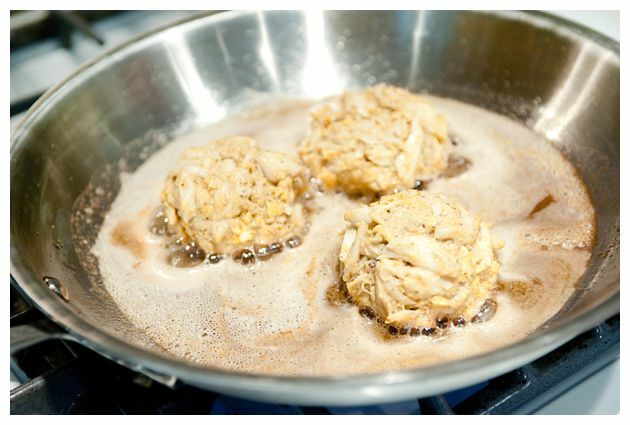 A True Shore Dinner…Crab Cakes!